Back in April, DCEU producer Deborah Snyder made a surprising revelation, confirming that Ray Fisher's Cyborg will be joining Ezra Miller's Barry Allen in Warner Bros.' stand alone Flash movie. The producer teased that they both have a, "really nice camaraderie with each other," while seemingly hinting that this movie may break the studio's unspoken "no jokes" rule, stating that film will have a "different tone." While we don't have any updates on the tone, we do have confirmation that Ray Fisher has in fact signed on to star in The Flash. Variety's report doesn't indicate how large or small Ray Fisher's role is, but he signs on just weeks after Kiersey Clemons signed on to star as Iris West. Earlier in July, we reported that Kiersey Clemons was the studio's top choice for the Iris West Role, with Rita Ora and Lucy Boynton listed as the other top candidates. Another recent report revealed there are several other DC Comics characters yet to be cast. Back in April, a report surfaced that claimed there were four more DC Comics characters yet to be cast, aside from Iris West, Eobard Thawne, Fred Chyre, Len Snart and Jay Garrick. That report also revealed that this version of Iris West is a reporter for the Central City Citizen, with Eobard Thawne described as Central City's Bill Gates. Fred Chyre is said to be a detective who befriends Barry after they meet at a crime scene, while Len Snart, a.k.a. Captain Cold is said to be working as "hired muscle" for Thawne. Jay Garrick will only have a cameo as a Central University professor who was fired for his work in fringe sciences and with the speed force. While Kiersey Clemons' casting as Iris West certainly lent some validity to that report from April, it hasn't been confirmed yet that Eobard Thawne, Fred Chyre, Captain Cold or Jay Garrick will be joining Ezra Miller's Barry Allen. It's also worth noting that report surfaced before director Seth Grahame-Smith dropped out of the project, and was replaced by Rick Famuyiwa, so it's possible that the new director will bring in different characters, but we don't know for sure. Ray Fisher made his feature film debut in Batman v Superman in a cameo appearance as Cyborg. He previously guest starred on an episode of The Astronauts Wives Club, but he's best known for his work on the stage, playing iconic boxer Muhammad Ali in the 2013 off-Broadway play Fetch Clay, Make Man, and starring in other productions such as MacBeth. 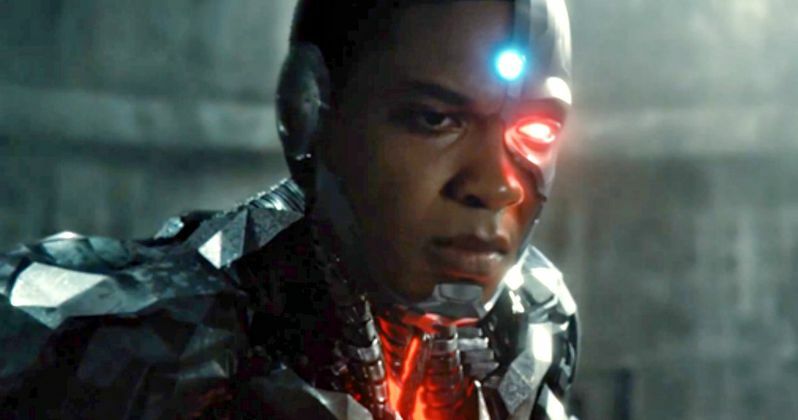 After Justice League and The Flash, Ray Fisher will star in his stand alone Cyborg movie, which is set for release on April 3, 2020.